Observations suggest that Earth’s early atmospheric mass differed from the present day. The effects of a different atmospheric mass on radiative forcing have been investigated in climate models of variable sophistication, but a mechanistic understanding of the thermodynamic component of the effect of atmospheric mass on early climate is missing. Using a 3D idealized global circulation model (GCM), we systematically examine the thermodynamic effect of atmospheric mass on near-surface temperature. We find that higher atmospheric mass tends to increase the near-surface temperature mostly due an increase in the heat capacity of the atmosphere, which decreases the net radiative cooling effect in the lower layers of the atmosphere. Additionally, the vertical advection of heat by eddies decreases with increasing atmospheric mass, resulting in further near-surface warming. As both net radiative cooling and vertical eddy heat fluxes are extratropical phenomena, higher atmospheric mass tends to flatten the meridional temperature gradient. Oh look, Real Scientists talking about the gravity/thermal effect. This paper, is very similar to the view expressed by the Skydraggons. I am not saying that it is wrong, but unfortunately there are only a few bodies with an atmosphere against which to test the hypothesis. When I was young, my dad, who was a very brilliant engineer, told me that Venus was hot because of its high atmospheric pressure, and Mars was cold because it did not have an atmosphere. Test a hypothesis.. !!! ????? …HOW DARE they actually test their hypothesis. !!! “Test a hypothesis.. !!! ????? i am looking forward to your experimental proof of the lack of a CO2 effect on Mars. Unless you have any experimental evidence, i will assume that the effect confirms everything that climate science says about earth. Measured proof for several atmosphere..
You truly are IGNORANT aren’t you sob-sob. !! Its as if you have barely a primary school education !! And we are STILL waiting , in vain apparently , for even one paper that proves that CO2 causes warming in a convective atmosphere or of ocean water. the measurements are of course even worse than on earth. But i am curious, when and where did you measure how warm would be without the CO2? Just link a scientific paper! I see you have absolutely ZERO comprehension of things such the S-B laws. But we all know you are totally ignorant of basically everything..
…so you really don’t need to keep drawing attention to the FACT. ! paper is linked above, little cry-baby. !! Read the paper and try to comprehend at least the first line. Poor wilfully nil-informed, empty-headed seb. Like Venus, Mars has an atmosphere with about 960,000 ppm CO2 (96%). And yet the planet’s average temperature is −55 °C. The difference between the average temperature on Venus (462 °C), Earth (15 °C), and Mars (-55 °C) has everything to do with atmospheric pressure, or density, not on CO2 concentration (96%, 0.04%, and 96% respectively). If the greenhouse hypothesis worked as assumed, Mars would not be -55 °C. And here I thought you at least understand the greenhouse hypothesis even if you don’t accept it. Mars is at its temperature because of greenhouse effect. It is minimal because of density of the atmosphere. Density or gravity itself doesn’t warm anything by itself, the gases aren’t constantly compressed and therefor warming. If you suddenly double the amount of gas (by using inert gas like nitrogen) gravity would initially compress it and it would get warmer, but the surplus heat would dissipate towards space and we are back at the old temperatures. There is no mechanism that could contain that initial compression heat. No, Mars is -55°C predominantly because of its very thin atmosphere, not because its atmospheric CO2 concentration is 960,000 ppm. What year did TSI, clouds, geothermal heat flux, and volcanic aerosol depth stop dominating net temperature changes in the Earth system since each of these variables have changed substantially in the last 100 years? A classic Kenneth topic switch … hurray! What topic was switched? I was replying to your “In other comments you emphasize the effects of TSI and how it dominates” with a comment about TSI. In addition to atmospheric pressure, distance from the Sun also plays a significant role in the planetary temperature. Mars’ temperature is predominantly explained by two factors: (1) atmospheric pressure/density, and (2) distance from the Sun. These two primary factors also apply to Venus, which is more than 500 degrees warmer than Mars despite both having atmosphere’s with similar CO2 concentrations (960,000 ppm). despite both having atmosphere’s with similar CO2 concentrations (960,000 ppm). You are implying that the temperature should be the same if the GHE would be real? Is that really how you think the mechanism works? No. Is it really this hard to understand? As I’ve said again and again, Mars is about -520 degrees C colder than Venus. There are two primary reasons for this: (1) the density/pressure of their atmospheres, and (2) their distances from the Sun. Their CO2 concentrations are effectively the same for both (960,000 ppm), making your claim that it is the CO2 concentration that is the deterministic cause of planetary temperature difference highly dubious relative to (1) and (2). The same can be said for Earth. The reason why we have a warmer planet than Mars but a cooler planet than Venus has to do with our atmosphere being 90 times less dense than Venus, but 100 times more dense than Mars. Also, the distance from the Sun plays a role. The difference in temperature can be explained by (1) and (2) for all three planets, meaning that a theoretical greenhouse effect is not necessary to explain 462 C (Venus) vs. 15 C (Earth) vs. -55 C (Mars). Your ignorant fantasies again shown in full light, seb. Density gradient of an atmosphere is an effect of GRAVITY, you scientifically illiterate twerp! Their CO2 concentrations are effectively the same for both (960,000 ppm), making your claim that it is the CO2 concentration that is the deterministic cause of planetary temperature difference highly dubious relative to (1) and (2). You are making it sound like you think that I said CO2 is the only thing causing temperature difference and that you think that this is how the “AGW-ers” think the GHE works. Pardon. I’ll try to repeat in simpler words: the temperature on Mars is what it is because of everything you listed AND the GHE of its CO2 concentration. Without it, it would be even cooler. The difference in temperature can be explained by (1) and (2) for all three planets, meaning that a theoretical greenhouse effect is not necessary to explain 462 C (Venus) vs. 15 C (Earth) vs. -55 C (Mars). Of course it is necessary! It’s also necessary for the lapse rate to be what it is. Also: this “concept” of yours (and AndyG55) doesn’t work for Titan, I wonder why. Instead of informing what you feel like I might think you might be thinking…why not just respond to the words I actually wrote? This habit of yours – making up stuff and claiming I wrote it – is sophomoric and annoying. I didn’t write that you said CO2 is the only thing causing the temperature difference. On the other hand, you DID write that Mars is as warm/cool as it is because of the greenhouse effect (CO2). You did not write that Mars is as warm/cool as it is because of its atmospheric density and distance from the Sun. Stop putting words in my mouth. I didn’t write that. Reply to what I actually wrote, not what you feel I think that you think I wrote mixed in with your own straw man arguments. That’s your opinion/belief. Like the atmospheric pressure conceptualization, the greenhouse effect is a theoretical conceptualization. It’s never been observed. It’s never been proven. The only reason you think it’s necessary is because of the argument from authority – most scientists, including skeptics agree that it seems to work. I’m influenced by the argument from authority too. And I am willing to consider that the scientists who have found the atmospheric pressure conceptualization to be explanatory are on to something. You’re not. You just dismiss that which doesn’t agree with your presuppositions. And call people names like “deniers” and cornered “conspiracy theorists” who don’t agree with you. There is NO EVIDENCE of a GHE on Mars, on Venus, and certainly not on Earth. Its all atmospheric pressure caused by gravity, allowing heat retention. And I am willing to consider that the scientists who have found the atmospheric pressure conceptualization to be explanatory are on to something. You’re not. You just dismiss that which doesn’t agree with your presuppositions. That last sentence describes what you are usually doing despite calling yourself agnostic to almost everything. No climate scientist claims that C02 alone is a driver of climate. There are other factors at play. Tell me something, how dense is Mars’ atmosphere? I think you might be wrongly assuming I am claiming that (a) CO2 is the main or only factor in the climate equation, or (b) atmospheric pressure is not what predominantly determines the temperatures of Mars, Venus, and Earth. As I have stated elsewhere, the primary reason why Mars is -55 °C and Venus is +462 °C and Earth is 15 °C is due to the profound differences in their atmospheric pressure/densities, not their atmospheric CO2 levels. Kenneth how would the temperature on the surfaces of Mars, Venus and Earth change if the atmospheres were consisting only of inert gases? Do you think the temperature would stay the same? And the other way around: let’s say mankind decides to heat up Mars in some kind of terraforming experiment. Do you think the density of the atmosphere would change as a response to the temperature change? Those N&Z guys have confused cause and effect and you are doing it too. Mars would have a thicker atmosphere if it were warmer. The current temperature is as high as it is because of the GHE. It would be even colder there without it. I don’t exactly know how much or little the temperature of Mars would change without its 960,000 ppm CO2 concentration. Relative to the role of atmospheric density, the influence CO2 appears to play a negligible role. That’s because both Mars and Venus have similar CO2 concentrations, and yet one is 500 degrees C warmer than the other. The difference? Venus has a very, very dense atmosphere, and it’s 462 C. Earth has a much thinner atmosphere, and its temperature is 15 C. Mars has an even thinner atmospheric density, and it’s -55 C. The temperature of each planet is correlated with its atmospheric density. It is not correlated with its CO2 concentration. So how much warmer would Mars be than now (-55 C) if it had an atmosphere with 200 more ppm CO2 than it does? How much warmer would Venus be than now (+462 C) with 200 ppm more CO2? Your FANTASIES continue unabated. !! From your comment it appears to me that you don’t understand how GHGs and the GHE work and it works on other planets. I think I said it before: you don’t have to agree with a concept, but please at least try to understand it before you comment against it. Otherwise this is pointless. The difference is also hundreds of W/m² of incoming solar radiation, something (it’s variations) you care about when talking about Earth’s climate. Density of an atmosphere is an effect not a cause. You cannot increase the temperature of a planet by increasing the density of the atmosphere if you use inert gases. Gravity and the laws of thermodynamics don’t work that way. We know that Climate Sensitivity to CO2 cannot be large (if there is any sensitivity at all). The RCP 8.5 is a ridiculous scenario. We know that CO2 in the past reached about 8,000ppm. If pre-industrial levels of CO2 were about 250 ppm, then 8,000 ppm represents 5 doublings of CO2. If there is a positive water feedback loop, then we would have seen runaway global warming when levels of CO2 were at around 6,000 to 8,000 ppm. But the fact is simple, the paleo record shows temperatures rising as CO2 levels are falling, it shows temperatures falling as CO2 rises. There are many examples of anti-correlation in the paleo record, and to the extent that there are some similarities between the tracking of temperature and CO2, Co2 lags temperature changes by about 600 to 1000 years. At all measured time scales (both paleo and yearly), CO2 lags temperature change. All of this strongly supports the view that (i) CO2 is a response not a driver of temperature change, and (ii) whatever drives temperature change, it is something other than CO2. Further, in Earth’s early history, the atmosphere was like Venus, with about 98% CO2. This is the equivalent of about 12 doublings over and above pre-industrial levels. How could water have ever taken hold on this planet if there is a positive water vapour feedback with high levels of CO2. Don’t overlook that in the early history of this planet, the surface flux was very much greater than today, since the planet was born hot and has gradually over the past 4.5 billion years cooled. Do you think the current increase in CO2 concentration is a result of a temperature rise 600 to 1000 years ago? CO2 follows temperature on both short-term and long-term timescales. We find a high degree of co-variation between all data series except 7) and 8), but with changes in CO2 always lagging changes in temperature. The maximum positive correlation between CO2 and temperature is found for CO2 lagging 11–12 months in relation to global sea surface temperature, 9.5–10 months to global surface air temperature, and about 9 months to global lower troposphere temperature. were are the historic episodes of someone burning tons of coal? your argument is horribly weak! I’ll need another interpretation of your question. Because the way it reads, it sounds like you’re acknowledging that CO2 rises and falls naturally, without significant relation to fossil fuel burning. You have NO argument, sob-sob..
Just an empty mindless yapping. folks, i am part of the minority here who does accept scientific facts. CO2 changed in the past following temperature. The situation is different today, because we burn coal. This is not rocket science, the average 6 year old can understand this! Yet you are still struggling. That’s more or less seasonal changes you are refering to, Kenneth. Nature is obviously not a constant absorber/emitter of CO2. I asked about the increase to 400 ppm … there is no temperature change event in the past that could explain it, but there are human emissions which add more CO2 to the atmosphere than the increase. 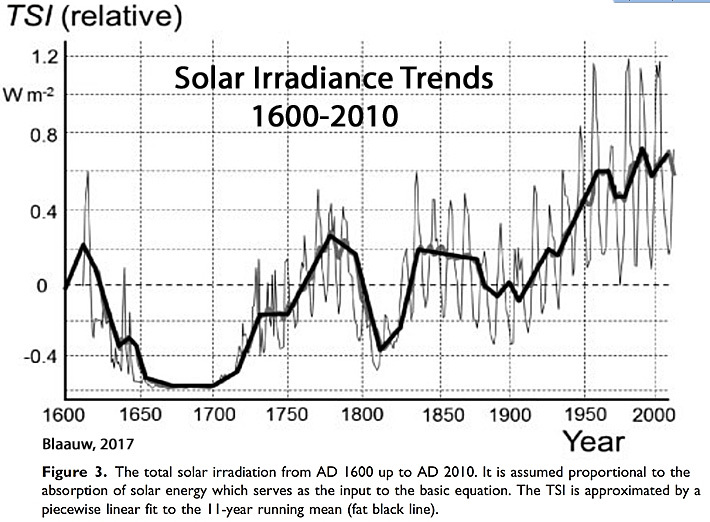 So nature is currently in “absorbtion mode” and not in the “emitter mode” after a previous warming. The failure to resolve the notorious problem of why about 30 percent of man-made CO2 is missing in the global carbon cycle, based on CO2 ice core measurements, suggests a systematic bias in ice core data. It is not possible to explain the ice core CO2 record in terms of a system with time-invariant processes perturbed by a combination of fossil fuel carbon release, CO2-enhanced biotic growth, and deforestation. Pearman, et al. “on examination of the data,” rejected 43 percent of the CO2 readings from Law Dome, Antarctica core … because they were higher or lower than the assumed “correct” values. Thus, they concluded a value of 281 ppmv CO2 for the pre-industrial atmosphere. To answer your question, it certainly could be since that would coincide with the MWP. However, my personal view is that the rise in CO2 is probably due to manmade CO2 emissions, but as the paleo record confirms CO2 is simply not a driver of temperature such that todays 400 ppm does not explain any warming that may have occurred. Further, I suspect that today’s temperatures are no warmer than those of around 1940. The USA temp dtat shows the 1030s as the warmest decade, Iceland and greenland both show 1940 as the warmest period, Russia has expressed concerns that their high northrn latitude data is no longer being used in the global data sets and that high latitudes in Russia have not warmed. Michael Mann had to drop the tree ring data post 1960 since had he used it through to the late 1990s it would not have shown warming post the 1940s. THE NAS NH temperature plot showing about 0.5 degC cooling from 1940 to 1975 has oftrn been set out on this site. Phil Jones in the Climategate emails referred to the need to get rid of the 1940s blip. If you look at the historical and spatial data on the SH, you will note that we have no good record on the SH or for that matter on the equatorial region. We cannot compile a worthwhile global data set. The only data of any substance is that of the NH. It appears that the NH cooled between o.3 degC to 0.5 degC from about 1940 to late 1070s, and it would appear that the NH may have warmed by about 0.3degC since the late 1970s to date. That being the case, we are today at approximately the same temperatures as seen in the 1940s. That is interesting since some 95% of all manmade CO2 has been emitted from about 1940 and it would appear that there has been no warming during this period and during the time of these emissions. this is not the way science works. FACTS really are your enema , aren’t they sob-sob. In-adjusted data CLEARLY shows that the late 1930’s were the warmest period in the USA since the little ice age. and there is NOTHING you can do about that FACT. !! … except go into complete REALITY DENIAL.. as is your natural and permanent form of existence. … as in not subjected to the mal-manipulations of the GISS fraudulent squad. Hmm, CO2 concentration increased in the past because of previous temperature rise, correct? If CO2 causes warming this should have amplified the warming until some other variable changed and the surface began cooling again. Maybe it slowed down cooling a bit, but eventually the temperatures decreased until the next such cycle. Correct? CO2 started to rise WAY before man could have had ANY affect whatsoever. And CO2 DOES NOT slow down cooling, just another piece of LYING, fairy-tale or hallucination by seb. There is NO MECHANISM, except empty unproven supposition, that allows it to do so. It is a radiative gas, and therefore is just another conduit for radiative flow. The current level of CO2 is actually very much on the LOW side of the what its has been for most of the Earth’s history. If humans are contributing even a small amount to the slight HIGHLLY BENEFICIAL rise, then that is a good thing. Yes seb, even YOU are a product of atmospheric CO2. Even YOU are TOTALLY reliant on it for your very slimy existence. with the “3 Chemists …” post and this one I have to ask: do you believe these papers you quote/cite here are correct? Do you think the CO2 greenhouse effect is not real? Thank you for this interesting list of authors and papers. I just read into the first one (Allmendinger 2017) and it could not get more unscientific that this. Was that really peer reviewed somewhere? The used language is vague at best and it’s full of unsupportable claims. Will the other papers be of the same quality? Have you actually read them and found them to be good examples to support your climate skeptic course? I personally am fully agnostic regarding the hypothetical greenhouse, as I am influenced by the argument from authority and the fact that very respected atmospheric physicists like Dr. Lindzen believe the model works. On the other hand, the fact that Mars has an atmosphere with 960,000 ppm CO2 and yet has an average temperature of -55°C would clearly suggest that CO2 does not work as expected by current models. Mars is at a greater distance to the sun and the atmosphere is extremely thin. This argument is horribly weak! As the papers above point out, you’ve just confirmed that atmospheric pressure is significantly what determine’s planetary temperature, not CO2 concentration. Mars’ CO2 concentration is 960,000 ppm. Earth’s is 400 ppm. And yet the reason why Mars is -70 degrees colder than Earth is due to its atmospheric pressure, not its CO2 concentration. The distance from the Sun vs. Earth has comparatively little to do with Mars’ temperature relative to the forcing from its atmospheric pressure composition. Exactly, if CO2 was such an effective greenhouse gas, then even given the distance from the sun, Mars would not be -55degC but would be say -10degC (depending upon climate sensitivity to a doubling of CO2). Of course, there is no water vapour feedback on Mars, just the raw and undiluted effect of CO2 itself. A bit like CO2 here on Earth when over a desert, ot over the Antarctic, or Arctic where humidity is very low. Mars is a good place to study the no water vapour feedback effect of CO2. Of course there is a greenhouse effect on Mars. If the concentration would change the effect changes. The reason for the effect not being as large as on Earth (or Venus) is the density of the atmosphere. It might have been denser in the past since scientists have found evidence of liquid water on the surface and that requires higher pressure. The reason why it looks like pressure determines average surface temperature (it certainly doesn’t do that locally: see night time temperatures with clear sky vs. cloudy sky) could be that there is a fine tunes equilibrium between all those variables. Meaning: the pressure is exactly that which it is to maintain the temperature together with the radiation fluxes. An effect, not a cause. The cause is incoming SW radiation vs. the distribution of layers that emit the outgoing LW radiation towards space. Of course there is a greenhouse effect on Mars. If the concentration would change the effect changes. The reason for the effect not being as large as on Earth (or Venus) is the density of the atmosphere. Your explanation does not stand scrutiny. You ought to consider some of the basic facts, ie., Mars’s atmosphere weighs some 25,000,000,000,000,000 kg as compared to Earth’s atmosphere of about 5,148,000,000,000,000,000 kg. This means Mars’ atmosphere is about 1/206th that of Earth’s. Mars has an atmosphere consisting of 95.32% Carbon Dioxide (CO2), or some 953,200 ppm. Given that Mars’ atmosphere is some 206th that of Earths, at an equivalent density to that of Earth, Mars has an equivalent CO2 density of 4,627 ppm (ie., 953,200/206). Put another way, if you could do a count, you would find that the number of CO2 molecules in Mars’ atmosphere is 10 times the number of CO2 in Earth’s atmosphere. So even adjusted for the lower density of Mars’ atmosphere the density of CO2 in Mars’ atmosphere is 10 times greater than that on Earth. So if one were to notionally compare it to Earth’s pre-industrial levels of CO2, ie., of about 250 ppm, there is an equivalence of some 4 complete doublings of CO2. If CO2 was an effective GHG (and I accept that there is no water vapour feedback on Mars), Mars ought to be a lot warmer even if one takes into account the low density of its atmosphere. But there is no GHE seen on Mars as the the Nikolov and Zeller paper makes clear. As you have written, Mars’ atmosphere consists of 95+% CO2. No water vapor, no other GHGs. Do you really expect the GHE to be of the same or greater magnitude just because there is more CO2 in that atmosphere than on Earth? It is exactly the magnitude that can be expected from the composition of the atmosphere. No, I don’t expect the CO2 concentration difference to have much of anything to do with the temperature of Mars (960,000 ppm) vs. Earth (400 ppm). Mars’s atmospheric mass of 25 teratonnes compares to Earth’s 5,148. That’s predominantly why Mars is 70 degrees C colder. As you have written, Mars’ atmosphere consists of 95+% CO2. No water vapor, no other GHGs. Do you really expect the GHE to be of the same or greater magnitude just because there is more CO2 in that atmosphere than on Earth? You have not dealt with my point that whilst the Martian atmosphere may not be dense, there are in real terms 10 times as many CO2 molecules in the Martian atmosphere as there are in Earth’s atmosphere. Instead you set up a strawaman. As I mentioned, there is no water feedback loop on Mars. I am therefore not expecting to see on Mars, any additional forcing which would be brought about by a water vapour feedback loop. I thought that I had already made that clear. What I am expecting to see on Mars is the direct CO2 forcing caused by CO2 itself. There are 10 times as many molecules of CO2 in the Martian atmosphere as there are molecules of CO2 in Earth’s atmosphere. If the radiataive effect of a CO2 molecule leads to any radiative forcing and thence to warming, one would expect to see more warming in an atmosphere that contains 10 times as many CO2 molecules than one would expect to see in an atmosphere which has 1/10th as many CO2 molecules. That ought not to be a contentious proposition. Now then many people argue that here on Earth, the direct radiative forcing of CO2 is about 1.66W/m^2 per doubling of CO2 (per IPCC Climate Change Synthesis Report 2007). This is the claimed GHE of the so called GHG of CO2 without any additional forcing caused by the water feedback loop. These people of course go on to argue that with water feedback, the radiative forcing is increased to about 3.7W/m^2 per doubling of CO2. Thus on Mars I am not expecting to see the increased water vapour enhanced radiative forcing of 3.7W/m^2 per doubling of CO2, but simply evidence of the non enhanced radiative forcing of the CO2 molecule itself (ie., the 1.66W/m^2 per doubling of CO2 radiative component). But the simple fact is this. Just like the Moon, Mars does not exhibit any enhanced GHE, whereas because its atmosphere physically contains 10 times as many CO2 molecules as are present in Earth’s atmosphere, there ought to be some measurable GHE on Mars if radiative forcings of CO2 molecules can result in surface warming of a planet. That is the problem, and that is the issue that you need to address. Of course Kenneth explains why Mars is so cold, namely the Martian atmosphere has so little pressure (Surface pressure: 6.36 mb at mean radius (variable from 4.0 to 8.7 mb depending on season) [6.9 mb to 9 mb (Viking 1 Lander site)]). To which I would add there is no GHE from CO2 warming the Martian surface even though the Martian atmosphere contains 10 times as many Co2 molecules as found in Earth’s atmosphere. It lacks any form of learning or comprehension ability. 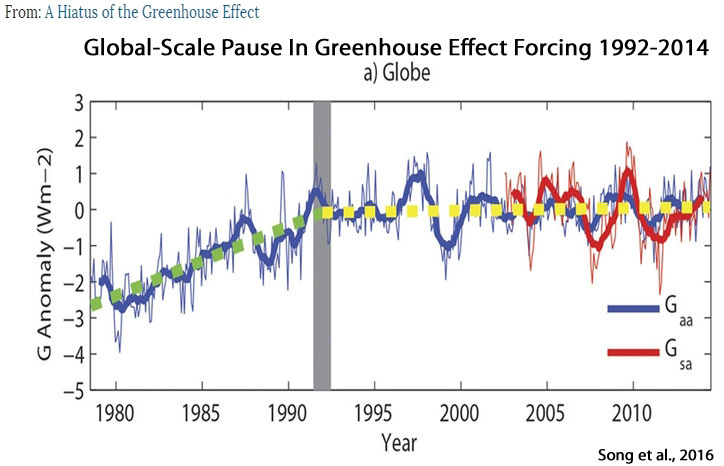 You blindly refuse to accept what is very obvious from the data… just because it is counter to your AGW brain-washing. people have looked at the planets. what you folks write here is totally insane. you can not just “estimate” that Mars should be warmer/colder. That is plain out stupid. Yet that is what you and your brain-washed AGW cretins do for Earth. Come on sob-sob.. what SHOULD the temperature of Earth be? with reasons. Or will you RUN and HIDE like you do when asked about your EV ??? How many sewer-laden socks have you eaten this year sob. Foot in mouth seems to be your only diet !! Your comment also shows that you are, as always, MONUMENTALLY IGNORANT of anything to do with science or physics.. or .. basically anything. You might like to read the Schneider 1971 paper published in Science Volume 173. Perhaps you will identify, for the benefit of all of us who read this blog, what is wrong with the science and the physics in that paper. Scheider et al, were clearly of the view that CO2 was not much of a temperature driver. Do you want me to find you a paper which comes to the conclusion that 8 times the CO2 concentration would result in 20+ degrees difference? Would you then tell me what is wrong with the science in that paper? James Hansen also believes sea levels will rise 10 feet in the next 48 years. Do you see anything wrong with his science? If so, cite it. Or do you too believe we’ll get 10 feet of rise by 2065 too? Here are 60+ papers that have climate sensitivity in the tenths of a degree for CO2 doubling. Explain why each one is wrong, Sebastian. Explain why they are right please. You can’t even produce even ONE paper that show CO2 makes ANY DIFFERENCE AT ALL. If we take Trump impact as Mother of All Bombs, then Allmendinger, with his reproducible measurements, is nuclear. A researcher has pointed it out to us that Tyndall’s IR sensing apparatus only works because it is water cooled. Tyndall had found, of course, that only warmer can affect cooler. Hence, zero GH effect!!! Same deviation from truth by alarmists re Fourier and even Arrhenius, who was soon well-refuted by Woods. these 17 articles would make about 17 ppm. And according to a “sceptic” position, such a small number can not have any effect at all. please come back, when a significant number of articles is available! This is one of the silliest arguments seen in quite some time. Firstly we are talking about literature published on climate, and they are far fewer in number. Secondly it takes only one single paper to contradict what a thousand, million or even a billion papers might assert. i was obviously smiling while i wrote that post. The problem is, that recently i am constantly faced with totally absurd arguments in the comment section. this was attempt to point out, what the structure of some arguments here is! so you also think that the ppm number in the atmosphere does not make as much sense, as a lot of it is also made up of molecules which do not have any greenhouse effect? Soi we should take a look at the real effect and not just at abstract numbers? like it might only take a single ppm in a chemical mix to ruin the effect that it was supposed to have or to give it a different effect? So we agree that the ppm line of argument does not make any sense? You really are tailing off into dementia, sob-sob. For your own mental health, to preserve what little sanity you have left..
… find another way to spent your insignificant mindless existence. And no , you haven’t produced even ONE paper yet sob-sob. No proof that CO2 has ANY AFFECT WHAT-SO-EVER on a convective atmosphere, or oceans,. Nothing, nada.. a complete void of mind and substance. You are still just an empty yapping vassal.